Thank you to everyone who gave feedback on last weeks Workout Wednesday post. Since you guys are game, so am I! Here's installment number two! Here is a workout look I wore to my Bar Method class. Wearing layers to workout in was an adjustment for me from my normal less-clothes-the-better hot yoga outfits. With Bar Method I barely sweat at all. This is one of the things I love about this class because my naturally curly hair doesn't get ruined and I can still go out in public after a workout without looking like a drowned rat! Since joining Bar Method I've had to invest in alot more long sleeve layers to wear to classes. I tried on this great white half zip hoodie at Lululemon but thought I could probably find something pretty comparable at TJ Maxx or Marshalls since it was just plain white. 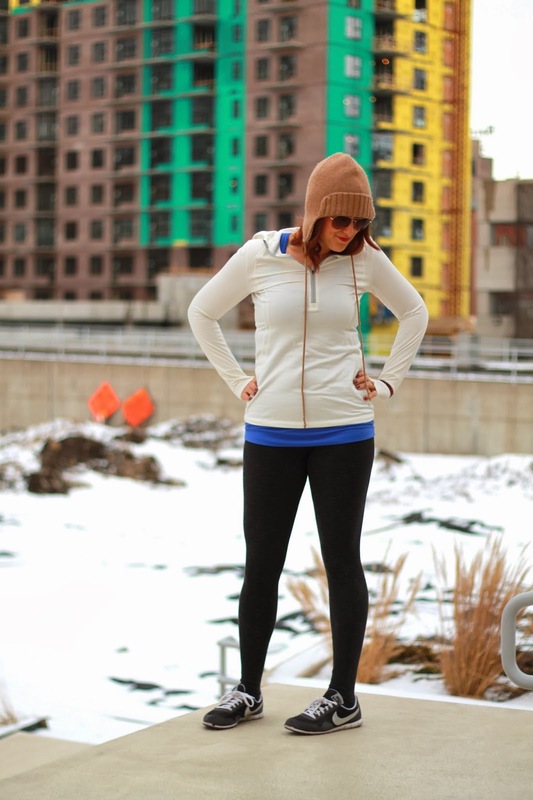 If you don't know already those two places are great for workout clothes under $30! As a rule of thumb at Lululemon, I will only splurge on a great colored piece or some super basic black leggings I'll wear forever . But for just a plain white hoodie, I couldn't justify the $98 price tag. 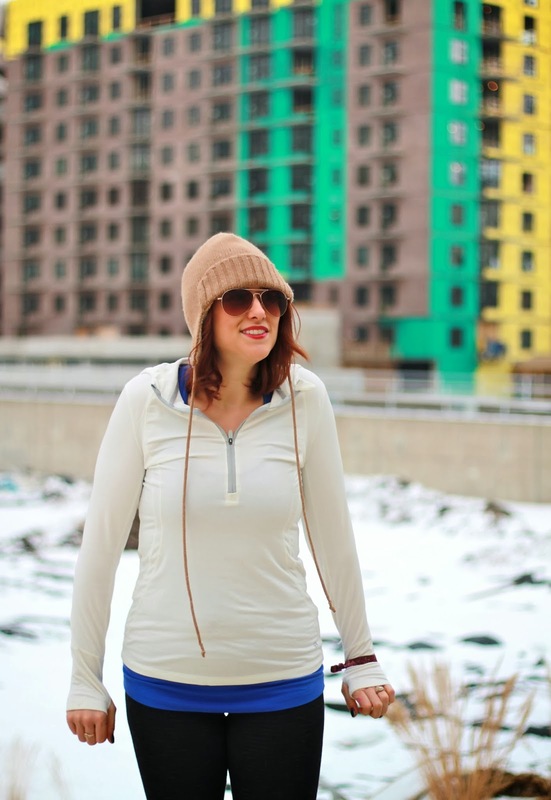 Sure enough this micro fleece lined half-zip hoodie was found at TJ Maxx for just $19 and looks pretty darn similar to the Lulu one don't you think?